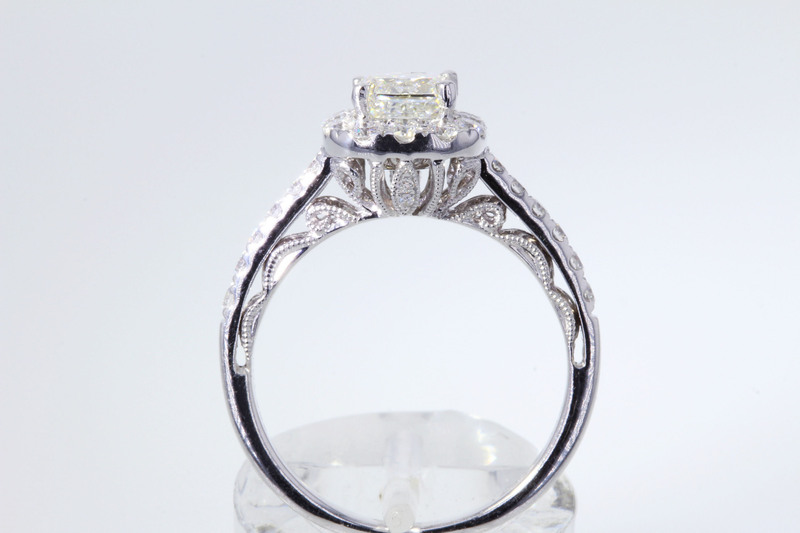 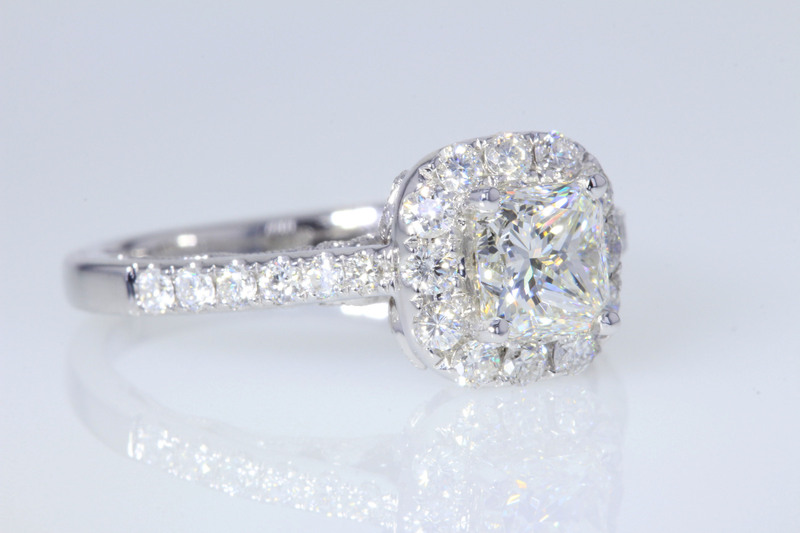 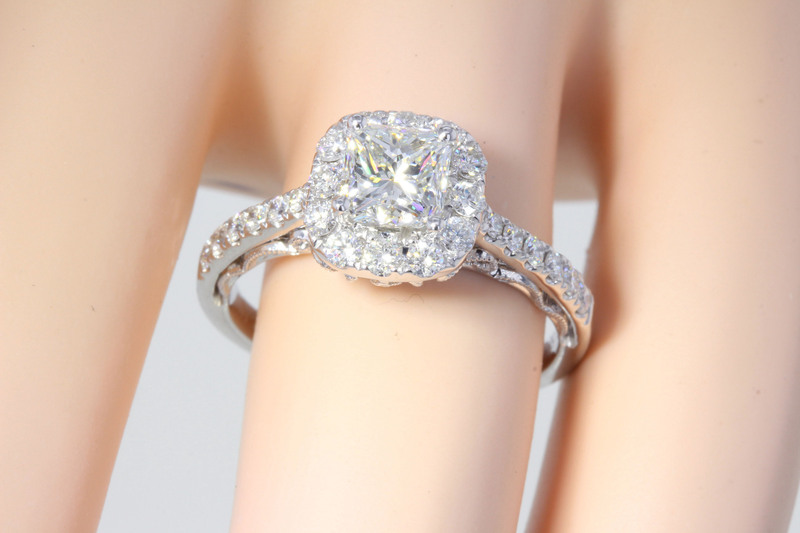 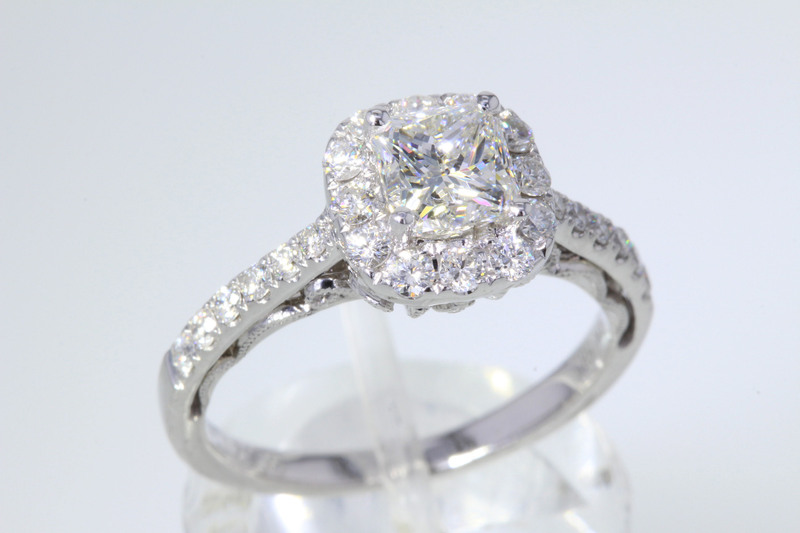 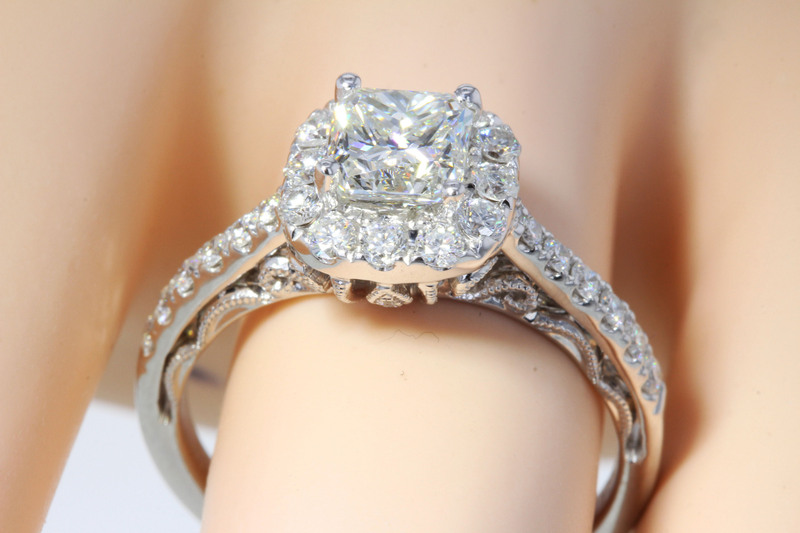 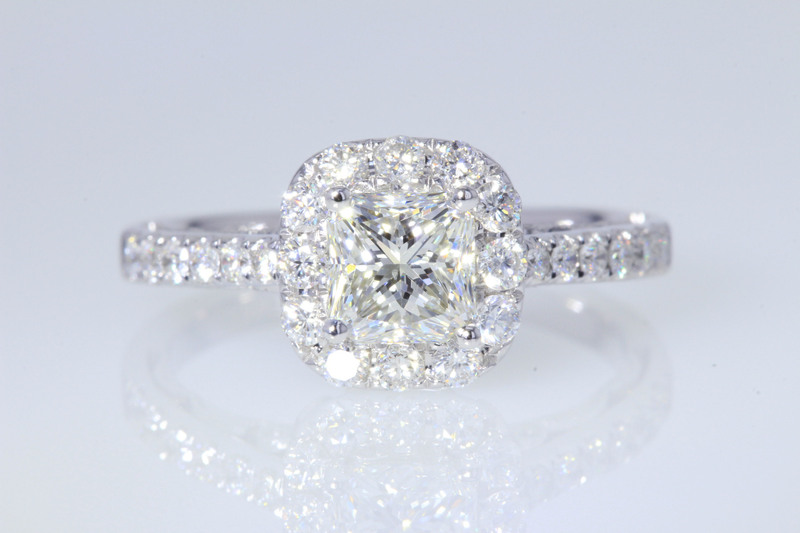 Categories: Specials, Engagement Rings $3000-$4000, Engagement Rings $4000 & Up "Priced Low to High". 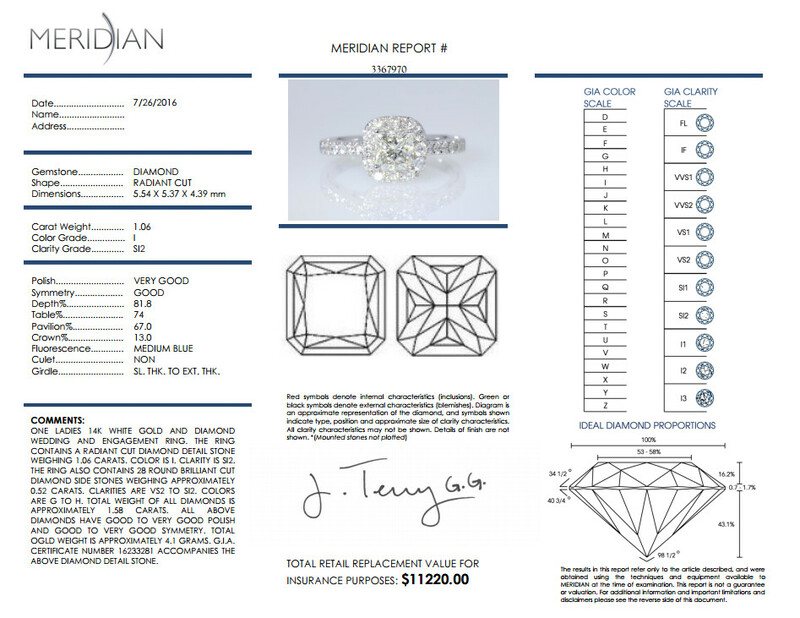 1.06CT Radiant diamond with near colorless I color and 100% eye clean clarity of SI2 GIA certified and comes with lab report. 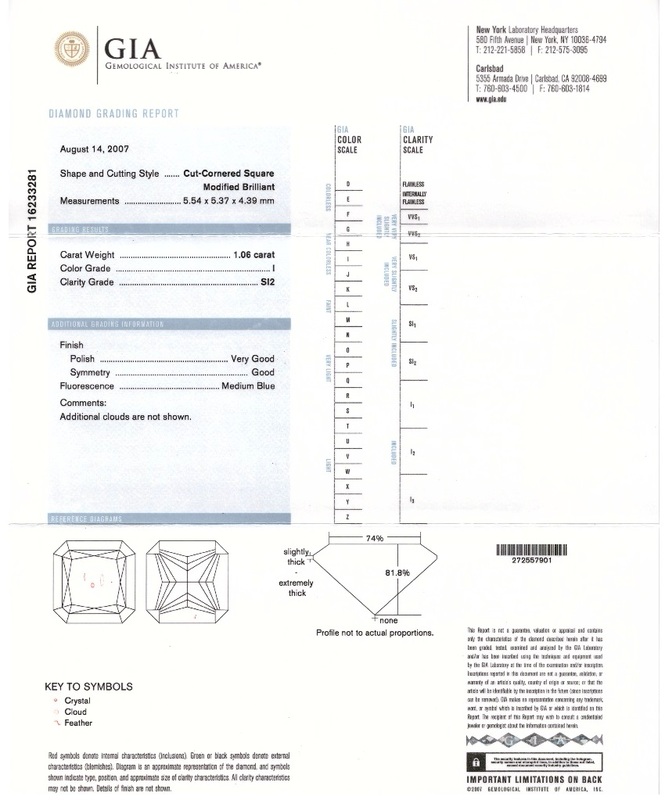 The make on this diamond is stunning, simply look at the video. 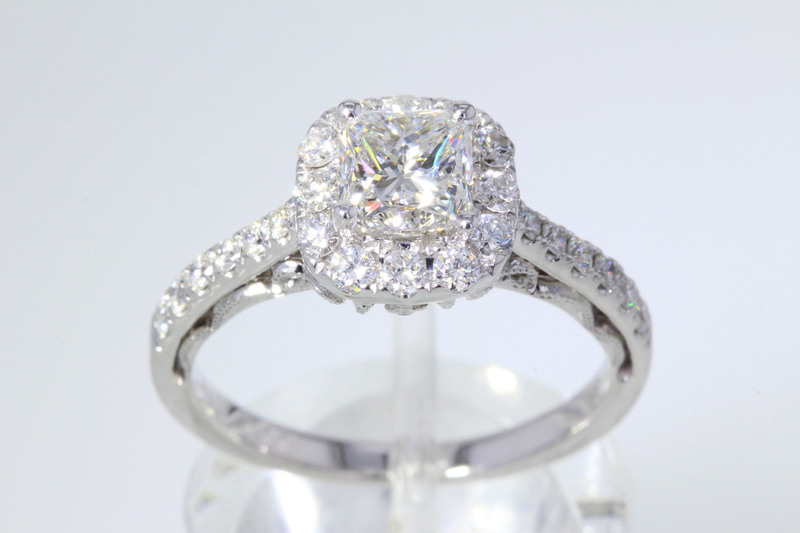 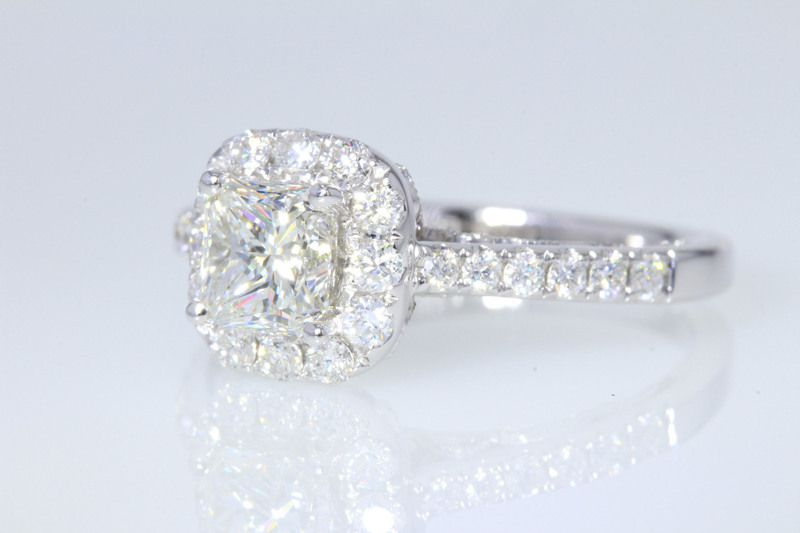 The ring was set in this 14kt white gold halo with over 1/2CT of extra high quality round brilliant diamonds for a total carat weight of 1.58CT.